Cytec Industries (Thailand) Ltd. is a leading global supplier of advanced liquid and powder coating resins, pressure sensitive adhesives, and mining chemicals. The company's manufacturing facility is located in Rayong, Thailand, the world to ensure a reliable supply of high quality products. New manufacturing capabilities are being added to support growth opportunities, and experienced research and technical service teams are working with customers to develop tailor-made systems and deliver technologies that exceed their expectations. Cytec's product range is comprehensive. The company offers an eco-friendly product family of waterborne and solvent-borne resins used in high-performance coating applications. This includes new and innovative low-VOC and HAP-free resin technologies as well as already well established binders, additives, cross linkers, catalysts, and solvents. 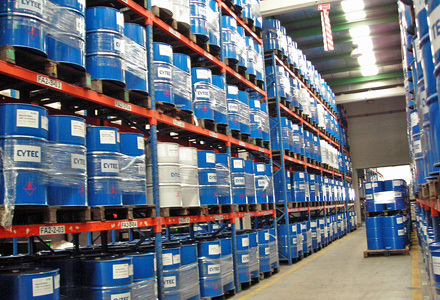 This portfolio of liquid resins and additives provides Cytec the capability to serve the needs of a wide range of coating markets, including decorative, automotive, packaging, industrial metal, plastic and wood, and mining refining as well as specialty applications such as tires, sanitation, and pools. Cytec started using Yokogawa's Micro-XL DCS in 1996, and later added a CENTUM CS 1000 system. Both systems were linked by a BCVL0112 bus converter for the monitoring and control of all plant processes. Although Cytec had been using Micro-XL for more than 10 years without experiencing a single major system failure, it decided to migrate to the CENTUM CS 3000 and the CS Batch package because of the end of support for the Micro-XL system, the difficulty of finding spare parts, and the desire to attain even higher levels of operational excellence. 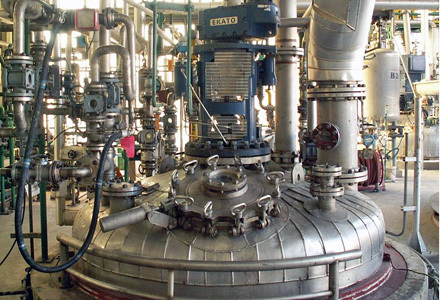 Cytec is looking to increase production efficiency to meet the requirements of its end users on time and reduce production losses. Production involves more than 1,000 raw materials, nearly 200 recipes with many different parameters, and a variety of procedures and sequences for feeding, mixing, cooking, and filtering/discharging final product. Operations at this plant, which runs more than 330 days per year, are all carefully managed by the CENTUM CS 3000 DCS and the CS Batch package. While some products require manual adjustments during batch operations, operators always have all the information they need thanks to graphic and temperature trend displays and operator guidance messages. By allowing them to see clearly, know in advance, and act with agility, Yokogawa is delivering on its VigilantPlant promise of bringing operational excellence to its customers. One of the important issues at this ISO14000 compliant plant is the safety of its operations and the resulting impact that this can have on the environment. The CENTUM CS 3000 DCS and the CS Batch package provide accurate information on procedures that eliminate mistakes by allowing operators to confirm the actions that are to be taken during each step of a batch operation. And now that Cytec is following the industry's RC14000 environmental management specification, it is essential to keep data spanning the entire production lifecycle, from the purchase of raw materials onwards. With the CENTUM CS 3000 DCS and the CS Batch package, data on individual batch operations can be stored and retrieved, allowing the detailed time-based tracking of production data that is essential to maintaining safe and environmentally friendly plant operations. The Micro-XL and CENTUM CS 1000 systems were highly reliable even in a single configuration. Now, with dual redundancy in all key system elements such as the communication bus, power supply, and CPU, the CENTUM CS 3000 takes reliability and operational excellence to an entirely different level. The customer's requirements, manufacturing schedule, and shipping schedule are all well managed at Cytec. This is consistent with the 5S concept of seiri, seiton, seisou, seiketsu, shitsuke (tidiness, orderliness, cleanliness, standardization, discipline). "Our plant runs around 330 days a year. Based on production data and many other kinds of data obtained during normal operation, process engineers carefully study and analyze the condition of each process unit to prepare an annual maintenance plan. We have a maintenance contract with Yokogawa Thailand for the control system, and the DCS is always kept in good condition. The DCS is the brain for our entire production facility."